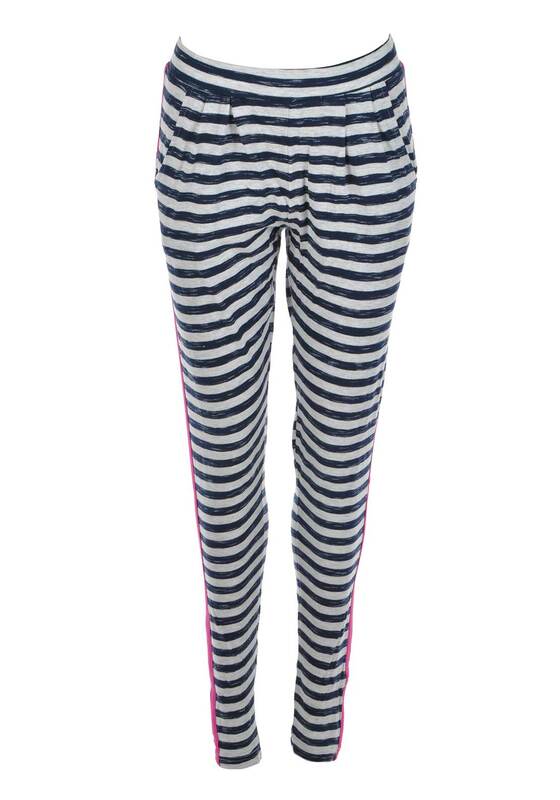 Rebelle present these cosy pyjama bottoms which can be mixed and matched with a variety of pyjama tops. Made from soft and comfortable stretch cotton fabric with a grey and navy striped print throughout. Other details include hip pockets and elasticated waistband.